So I managed to get my hands on the new Space Wolves today! For those of you bloggers not living in Australian/Pacific region these are the actual AUD prices on the products. Remembering that the AUD is currently worth more than the USD (you don't want to see the prices we pay on the Black Library website, even on electronic download products!) and with the Gw embargo in place there's not a lot of choice anymore. Anyway Gw policies aside these kits look pretty sweet! First off there is the Thunderwolves kit. The assembly guide is in a small booklet form and is pretty good. It lays out all the optional items in the front page and is easy to follow. I've taken photos of the sprue from the side not shown on the Gw website. I'm really happy with the detail on these guys and when you splice these kits up with all the others it creates a bunch of different options. One of the feet (paws) has just one toe replace by a bionic and the equipment for around their waist includes extra clips/magazines which is a bit of a first. I'll defiantly be plundering a couple of these sets for the rest of my wolves. The Fenrisian Wolves are obviously a very simple kit with no additional options. I would have liked to see in line with the other two boxes some Thousand Sons to decorate their bases but nothing wrong with the kits otherwise, just a missed opportunity. This was really just a show and tell and I'm pretty happy with the models and the finecast hasn't sent me clamouring for a return which is a positive sign for the technology and Gw's quality control. There will still be some greenstuff touch ups but shouldn't be anything too bad. Anyway if you want a closer look at any of the minis or more photos of anything specific drop me a line at my new email set up for this blog. How goes your new year? Since last we spoke I've been to the U.A.E., India and Singapore with work, took a short break with my girlfriend to Melbourne and am currently based in Darwin until May. As you can guess this has limited my hobby time quite severely but I have still found time to get a bit done. I did manage to make it along to Games Day 2011 which was great! It was the first Games Day Australia has had in a long while and I'm not ashamed to say I was like a kid in the candy store. I picked up some awesome Black Library products and posters and got to hang out with a few good friends, one of which I didn't know was a hobbyist! Two of my friends won a Golden Daemon with Kyle taking out the slayer sword! Unfortunately I'm unable to really do much about those ambitions until I get home in May so it's really more of a half year ambition. I'm currently sitting in a transit lounge up in Darwin waiting on word of what is happening with our flight. We've already been held over 24 hours and are waiting to see if it'll be another 24 hours... The reason I'm heading overseas is for work which will see me away for around a month to two. During this time it is doubtful I will have much Internet access so unfortunately the posts will be fairly light. But instead of wasting this time I'm using my new hp mini to read up on the Rogue Trader Roleplay rules and adventures because when I'm back I will be kicking off an adventure. It will be my first time GMing so fingers crossed for me and the lads. When I'm back I will definitely be checking out everyone's blogs to see what they have been up to. As I'm writing this a RAAF C130 has just landed about 60 metres from us with a bunch of Navy personnel. Cool. No that isn't a reference to our favourite greenskins heading off to conquer a new galaxy, it's the noise I'm currently making with all that's been going on lately! I went to put a post up the other day but blogger was down so apologies for that missed post but wow what a week its been. On the home front I've been tidying/organising my hobby lair/study which has made my girlfriend somewhat happier. I don't have any images for you yet as it's still a work in progress but after quite a few trips to IKEA I have pretty much all the shelving I could need (well fit into the room to be precise). Once I have the desk cleared I will have to start looking for some paint storage/display options. Does anyone have a system they like or can recommend? I don't want them in a case as I think that will be harder whilst I'm in the middle of a painting frenzy to stop and swap colours, esp with the addition of non Gw paints with which I'm not fully used to yet. Please comment away! I actually put some paint to model the Friday before last! I'll tell you it's been a while but man was it good to get back on that bike, shaky as I was. As such I worked on painting up my Tandarians as there are plenty of guardsmen who need some love but don't require the level I will put into my marines or other more elite armies, well elite compared to guard infantry. We have Forgeworld Chaos Dwarfs coming our way and damn do they look nice. Some really great ideas and models there. I love the inscriptions on the inside of their shoulder pads and the totem on top of their standard bearer. New Dark Eldar were released but without the uber fliers we were expecting. That's cool, just another nice mini to await release. Damn it's looking more and more like I'll need to collect Dark Eldar. That's something I might do when I'm sent North for six months at the end of the year and beginning of next (don't worry, it's for work not an exile imposed by my missus). Since I will be away from all my hobby mates and hobby supplies and minis I figured I might start a totally new army which I don't need anything else for. So pretty much nothing Imperial really, or in power armour. Not that I'm not looking for some new Northern Hobby mates when that time comes! Maelstrom Games has their new sales restraints imposed in a few short weeks which I will be away for whilst it happens. Not that I won't still support them through their other systems but after losing Flames of War and Gw it's really limiting what I can get from them. Finally Finecast has come. This will be a talking point for sometime I'm sure especially since the speed between the announcement of such a major change in such a casual manner hasn't given everyone enough time to digest how this will affect things. Most people are probably just looking at what they buy as now being resin rather than metal. sure it'll be lighter and easier to cut but will it be brittle? If I drop my Wood Elf Dragon is it more likely to shatter or to loose the tips of its horns than the metal one? How are Gw staff going to teach Timmy Ten-year-old hold to build his new character when he hasn't built any himself? Is it safe to? So can we work on Forgeworld and other resin pieces in-store now? Do we all need to wear dust masks when in store working on our new models? I'm sure you can see some of the implications of these sorts of questions and the big shift in how the stores are currently run to allow for this new material. And if it is a wonder hybrid of plastic and resin how do we work with it? Glue it? Will it melt whilst filing? Will it jump down our lungs and murder us as soon as look at it? (I'm sure it won't but that's how some stores treated Forgeworld when it was starting to appear at their hobby tables) And I'm sure for many others this won't spell the end of metal models. I have a back log of Gw metal models like you wouldn't believe, not just a whole host of characters and elite units but Vostroyans, Steel Legion, Praetorians and Sisters of Battle. Then there are the other companies that make pretty toys which I collect, more casually sure but there isn't a model made for Incursion that I won't buy at least twice (and have already done so or plan to do)! Alot of stuff going on and still mulling over what has just happened, but the first thing I'll be doing is thinking if there is anything I need from Maelstrom. I've been out at a RAAF base today re-qualifying for the Austeyr and have had a pretty good day. I just wanted to bring your attention to some of the changes to the blog's layout. I'm still tinkering away with it and any feedback is more than welcome, just leave it in the comments. But I ask that you check out two charity projects LiveStrong Wargaming Project run through Miniature Wargame Conversions who are also running Pay it Forward where there is a Forgeworld Mars Pattern Warhound Titan to be won! This is the same LiveStrong endorsed by Lance Armstrong and looks at helping those affected by cancer. One of the great things about this project is that anyone can get involved! Big or small, everything helps and it's simple to get involved. Just sell any unwanted hobby or make a special piece and sell it through eBay's Giving Works with the proceeds of those sales going to LiveStrong. There's already the first piece going up on eBay over at Red Corps Red Scorpions page. Check out the links and you'll quickly get how it works and how this can be really easy to join in. Heck just bid on and buy an item and you're helping out! And The Heroes of Armageddon Collaborative Army Build brought to you by the guys who were responsible for the Storm Wardens Collaborative Army Build. The Storm Warden Army Project produced an amazing looking army with a whole host of customised accessories and giveaways along the way including the art for the project. It had an amazing level of support from some of our favourite online hobby stores and raised an astounding $16,107 for Doctors without Borders. This time is no different except that they have four armies underway for the project! The earlier you get involved the more draws and chances to win you have. Definitely something to keep an eye on with that much hobby happening, especially considering the number and type of accessories. They had stuff I didn't even know I wanted until I saw it! They already have custom dice made up. These charity projects show just how amazing our community can be and by giving you end up with awesome hobby. Check out those links and have a think if you've got something to give or if there's a model or army out there that you want. Just a quick one here, I don't know if you had all seen this already but it was news to me when I found it and a pleasant surprise at that! 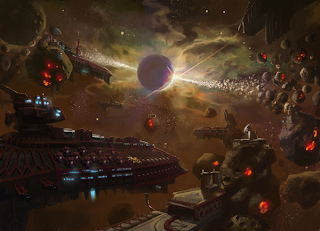 Fantasy Flight Games is releasing the fourth of their 40k roleplay games Black Crusade. 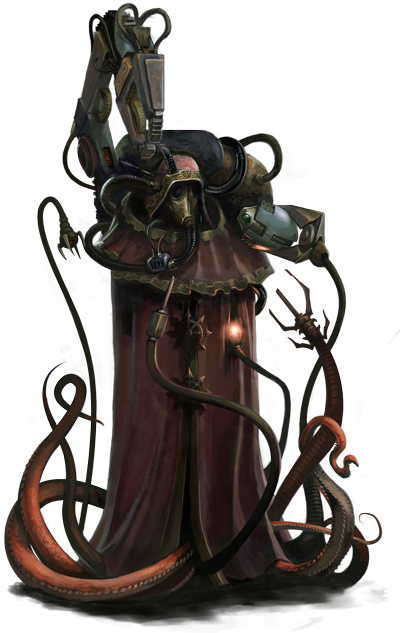 As you can probably guess from it's name it's all about taking on the role of the minions of chaos with images showing corrupted guardswomen, an assassin about to take out some Sisters of Battle with a melta-bomb, a corrupted priest and a dark mechanicum techpriest. This looks to be really kick arse and will probably fill that niche our gaming group has of killing everything that breathes whilst sending ourselves insane and corrupt. It goes back to the origins of trolls and they look and feel authentic. They are legitimate Norwegian Trolls and look just like those books everyone grew up with such as Brian Froud and Wil Huygen's works. I can't recommend seeing this movie enough! Now that I am on the look out for all things troll I have just come across some amazing troll miniatures over at Warploque Miniatures. These guys hark back to those Norwegian style trolls, nothing chaotic or warped about them just honest to goodness trolls. I really think I will need to pick up a set. 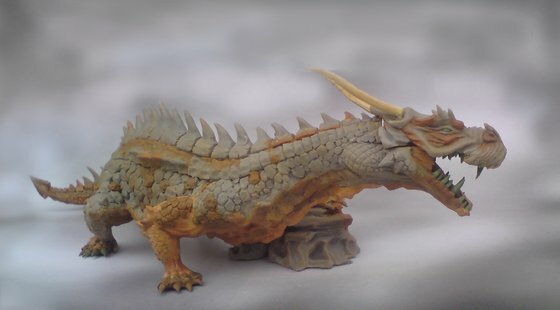 He also has a dragon he is trying to get cast up over here with two different head variants and has just finished up a Death Kiwi. Definitely someone to keep an eye on. Has anyone gotten any models from Warploque? Thoughts? Well I've gotten my camera back so hopefully over this week I'll be able to take some photos of what I've been working on lately to catch you all up to date. In other news it looks like I might be starting to host more mini evenings. Not 40k events but hobby sessions and just hanging out as I've been away from Sydney for a while for work and now I'm back we are making it more hobby friendly. It's not by any means fully ready to go but we've had a few games of incursion and the like. As it looks like I may be playing host a bit more I decided to invest in a few other games that can be played with limited space when we get sick of hobby (not that that happens too often). So today I picked up Munchkin Zombie and Munchkin Booty to do just that. I had picked up the expansions to Munchkin Booty earlier in the year when Tin Soldier in the city closed down and had been meaning to pick it up for some time now. We were in Chatswood today and so I went to look at Games Chain who stock a great range of boardgames, card games and roleplay games. I wasn't really going there to buy anything but I saw it and thought I may as well as I have just been paid and then I saw the gem next to it. Sold! Anyone else a Munchkin fan? I've only played it the once before at a friend's place and loved it. Which is your favourite series? Leave a comment and let me know. You know how when you clean a model how there's always little bits of plastic stuck on the model? Well I use the toothbrush to get rid of them. Plus I don't risk spitting all over my model (by blowing them away). I find the toothbrush to be really good at removing those bits of plastic that blowing them off wouldn't get that are still slightly attached to the model. Also you're not blowing around all the bits of plastic already on the desk and avoid the chance of it being blown back into your eyes (I've seen this happen and experienced it). And like I said no saliva. Wow! That's a really good idea. I'm going to get one too now. As such, a number of my friends carry or use a toothbrush since I started doing this and it's proven usefully for random jobs such as cleaning up resin pieces and even for terrain building. I've always found it a handy thing to have with me when I'm hobbying. Just don't get one with the rubber bits in it. All bristles is the way to go and is cheaper and easier to clean. Do you carry a toothbrush with your hobby gear? Or some other tool or item that's somewhat different to the norm? Let me know via comments. So Saturday Max came over and we had another game of Incursion. We played the third mission and I decided to take an APE Blazer for the first time to try them out (a flame-thrower). Now unlike Space Hulk he's not limited in his fuel, this bad boy came to fight. With enough Action Points (AP) and Command Points (CP) you fill the board around you with flames and help to halt the advance of zombies. 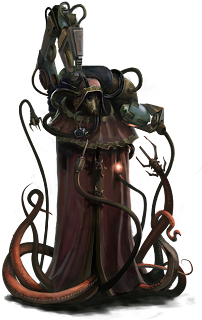 So for those of you unfamiliar with Incursion it works quite similarly to Space Hulk. Each action a model takes costs a certain number of points; moving forward is 1 AP, throwing a grenade is 2 AP and so on. Each model has an AP value determining how many actions they can take normally, now this can be altered by the cards you draw each turn or added to by CP. 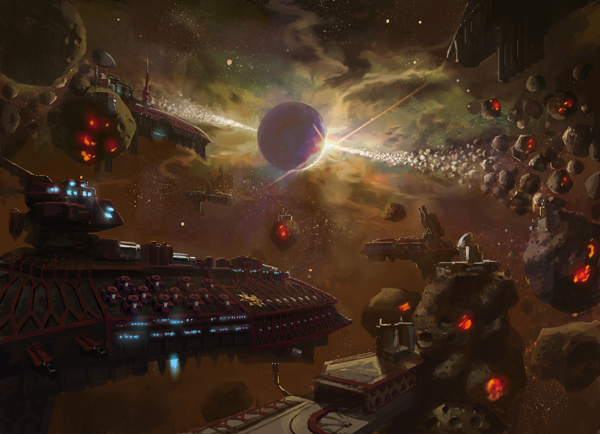 CP is a pool of points, determined by how large the mission is, which you can allocate to your models to take them far beyond what they can normally do. At the beginning of a turn you can secretly bid your CP to allow you to take your turn first but obviously this leaves you without them during that turn win or lose. CP can additionally be used to "kill" cards that are played either as events or on characters (both yours and your opponents). Everything started off fine with the flamer effectively shutting down Max's ability to bring on zombies as they would be melted down into Tyler Durden's favourite source material as soon as they stepped into the flames. But since my APEs are so slow compared to Ilsa and the Blitzhund they were able to get moving away from the flamer. Since you can control the shape of the flame within line of sight you can ensure you are able to block off a room's entrances. The Blazer slowly advancing forward managed to take down the Blitzhund (who had been shot previously by the APE by himself) and wound Ilsa. Unfortunately for me Max had a hidden tunnel card and set one up right behind me and ran zombies at all my APE suits managing to take a wound off the APE supporting the Blazer. I then beat them back in my next turn expending my CP to ensure I would be safe during his turn only to have a Booby Trap card played against the same APE and with Max only rolling sixes whenever he tried to wound me he pulled down my APE suit. After Ilsa grabbing the Pinger (the Mission's objective is to get it off the board) more zombies raced towards the isolated APE from the Trap Door and without the fire support from the now extinct APE they managed to pull him down under the weight of their attacks. So down to just the Blazer I had to knock out the Trap Door and focus on pulling down the much more nimble and deadly Ilsa. After doing so with a possible victory in my grasp Max played a brilliant series of cards meaning I just couldn't bring Ilsa down before she could win the game for Max. As a Cave In occurred blocking the Blazer's line of sight Ilsa also had Blaze of Glory played on her meaning if I or the flames I had lit were to kill her she would instantly activate and have a full turn of AP to spend on her before she died meaning she could sprint off the board no matter what happened. After bidding everything I had to take first turn I killed her Blaze of Glory with a SNAFU but Max drew and was able to play it again thanks to Ilsa's ability to draw an extra card every turn. This was the final nail in my coffin as Ilsa was able to stroll off the table to victory. Max's final hand of cards. With Ilsa stacked with 3 wound counters a Blaze of Glory ensured her victory unless I could strip it before her death. Alas it was not to be. Again this was another great game and just cemented with Max and I how good this game is. I will have to get a start on assembling my models once the expansion SNAFU gets here with all of its other goodies! I made it to GW Website! Black Library: Iron Snakes Complete Info!